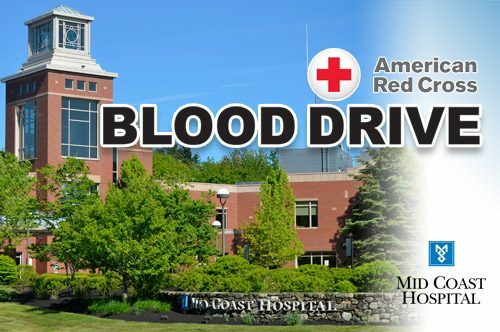 The American Red Cross will host a blood drive at Mid Coast Hospital in the café. The public is welcome to donate from 4:30-7:30 p.m. Please go to redcrossblood.org and enter sponsor code “MCH” to make an appointment. Additionally, Mid Coast–Parkview Health employees and volunteers may donate from 2:30-4:30 p.m.